Companies headquartered in Seattle, Wash., had an outsize influence in connected car launches and related announcements at CES. From Microsoft’s head unit integration with Harman to UIEvolution’s integration of SDLink smartphone connectivity at Toyota the coffee-infused aroma of Seattle innovation was palpable. INRIX – In the midst of engineering an aggressive re-architecting of its content and service delivery strategy as part of a run up to a long-anticipated IPO, INRIX touted recent traffic, weather, parking and fuel information wins with OEMs including Tesla, Porsche, BMW, Lexus (Europe) and Volvo (China). The company is simultaneously positioning itself to lead the drive toward smart city system development in partnership with larger IT companies. Announcements of additional OEM wins are anticipated. Great summary and video of the Seattle Times Gridlock event. Participants in The Seattle Times LiveWire forum included Jarrett Walker of Jarrett Walker and Associates, Bryan Mistele of INRIX, Mark Hallenbeck of the University of Washington and Scott Kubly of the Seattle Department of Transportation. Our region is experiencing dramatic population growth. How are we all going to get around in the Pacific Northwest 10 years from now? There is no question that 10 years from now, the predominant mode of transportation in the Pacific Northwest and around the world will still be automobiles. This is by far the predominant mode of transportation today and is actually growing as a percentage of total trips. With new innovations coming to the automotive industry, including autonomous vehicles, connected vehicles, electric vehicles and shared vehicles (these innovations combined we call the ACES), there is increased flexibility for drivers. These innovations are making it possible to reduce the total cost of vehicles to the consumer, while at the same time increasing safety and decreasing societal burdens, such as pollution and congestion. What role will mass transit play in our future? Are we spending too little, too much, or just the right amount on building out our system? INRIX is the leading provider of traffic data and analytics in the world. We are a private, commercial company and do not take policy positions. But INRIX is headquartered in Kirkland, so our employees care deeply about improving mobility in the Pacific Northwest. Most data show that bus systems tend to be cost-effective, flexible and improve overall congestion. But what we have seen with the light-rail system in our region has been disappointing. INRIX studied traffic patterns before and after the light-rail line went in, and we observed no decrease in overall congestion either on I-5 or in the related corridors. This is not a surprise since light rail only carries about 0.23 percent of the region’s trips today. For a system that cost billions, taxpayers could do better. Sixty percent of all public transportation tax dollars in King County is spent on transit, even though projections show less than 4 percent of daily trips will be taking transit even 20 years from now. Given the current population growth of our region, scarce budget dollars would better be spent improving and expanding roads and freeways, as well as bus service, rather than rail. I-5 is a constant bottleneck through downtown Seattle. What’s possible in terms of fixing this problem, and would the investment be worth it? Traffic congestion is caused by economic activity — people going to work, businesses making deliveries and freight moving through our port city to other cities around the country. During the 2008-2009 recession, we saw a more than 30 percent reduction in congestion, but we don’t think anyone would want to see that again! Therefore, the only real solution to the problem of a growing population and increased economic activity in our region is to add road capacity, use data to make better decisions and leverage technology. his is the only way to achieve the biggest bang for the buck. Likewise, technology such as dynamic traffic-signal timing, encouraging shared vehicles such as Uber and Lyft and encouraging autonomous vehicles in our region could also have a positive impact on overall traffic. 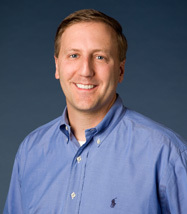 Bryan Mistele is president, CEO and co-founder of INRIX, a Kirkland-based traffic intelligence company. ParkMe is the best source for parking insight worldwide. ParkMe has built the largest parking database in the world that includes more than 29 million spaces in 84,184 locations spanning 3,232 cities in 64 countries. INRIX now offers a complete service providing drivers with the ability to find on- and off-street parking. Reserve a space, as well as pay for parking, either through a mobile app or directly from the owner’s vehicle. It’s clear to us at INRIX that the connected car of the future will need a variety of services: Traffic, Parking, Fuel Price information, Electric Vehicle charge station location, Road Weather and many other critical services that will help the connected driver be more safe, efficient and productive. I firmly believe we’re now only in the first stages of the revolution that the connected car will bring. Note: The following is taken from a keynote I gave at CTS/CES this week on the connected car. A lot of people talk about the connected car, but at INRIX we have a fairly unique perspective since we collect real-time information from more than 185 million vehicles and devices every day. With this perspective, we believe we’re approaching a new world, looking at all the sensors that exist in a car and asking what we can do for societal benefit. We started INRIX with a singular question, “Can we reduce traffic congestion?” The answer was ‘Yes’. But through that process, we see a myriad of other opportunities to transform data from vehicles into useful insight for both drivers and cities. Can we improve safety through road weather condition reports? Yes. Can we help people find parking? Yes. Are there dozens of other applications we can develop to benefit society? Yes. But we approach this new world with 5 key tenants which I think are important for all OEMs and people in this industry to adhere to. The first tenant is the services in the car have to be intelligent. Today vehicles and the HMI of vehicles are over burdened by the user having to click a dozen times or more to get the information they’re looking for. The information has to be relevant, personalized and intelligent meaning don’t make me click multiple times to figure out where the cheapest gas stations are. Instead, detect where my fuel status is and alert me and give me the information because you’ve learned where my home and where my work is so you can alert me along the road that I need gas and where’s the cheapest location for me to stop along the away. Learn from the vehicle itself about the users’ behavior and be intelligent. Rather than the user pulling the information, anticipate drivers’ needs and automatically push it to them. The second tenant is vehicle integration. This is key and what is missed a lot in terms of the whole Google and Apple discussion. People are worried about Google and Apple and what’s going to happen in the car, but the key for OEMs is vehicle integration. Most of these scenarios about road weather, parking and fuel information all require vehicle-based data. OEMs can use that data to increase the value in their cars. Google and Apple are out demanding the information for different purposes. They’re demanding it because they want to improve their own autonomous vehicles and who knows whether Google will compete or not in terms of building their own cars. They’re also using the data to advertise and target the user. Their goal is to own the user data regardless of the safety risks or consumer desire to receive targeted advertising while they’re driving. The third tenant is around community. They key of community are the network effects. When you have millions of millions of people and in a given city that can provide this data, the quality and value of the data gets better. The more vehicles you have that can give you specific information, the more valuable the service can be. This is why multiple OEM’s participating in a driver network is so important – the data continually gets better with each vehicle shipped. The fourth tenant is integration with the mobile phone. People already have calendars and contacts on their mobile phone and the OEM won’t be able to replicate that. But by integrating with the information consumers already have on their mobile phones, you can now do very interesting things. I want my car to be able to say “Bryan you’re going to be 15 minutes late to work today, I can see Jon and Scott are in your first meeting. Do you want me to alert them that you’re going to be late?” People have talked about this scenario for years, but I think these type of highly personalized experiences are something you will see roll out in the next year. In the future, this type of experience will go even further and notify your alarm clock that it needs to wake you up 30 minutes earlier that day in an effort to help you arrive on time regardless of the delay. The fifth and final tenant is simplicity. Everything has to be simple – people don’t like complexity. This industry has been bad in terms of designing easy HMIs. These HMIs have to be very easy, personal and relevant to the drivers themselves. Most importantly, these services have to be OEM centric and be centered around the driver and the in-vehicle experience as opposed to centered around the needs of a vendor such as Google or Apple who have other objectives in mind. Overall, we are at a real inflection point in the industry and we at INRIX are excited to be a part of helping make vehicles truly intelligent moving forward. “Car Mode.” Consumers can set their device to automatically switch to a driver friendly user interface that uses voice controls and larger, crisper fonts and button sizes to make it easier to get traffic information, make calls, listen to messages and play music on the road. Car mode provides real-time traffic maps showing the best routes, travel times and ETAs to home and work in traffic. Continuously monitoring conditions on the driver’s route throughout their journey, car mode also provides voice alerts to drivers about accidents and other incidents in enough time to avoid delays as well as access to real-time insight into the closest available off-street parking and least expensive place to refuel. “My Places” Widget. Samsung’s new My Places widget provides Galaxy Note 4 and Note Edge owners with ‘glance and go’ insight into the best route, travel time and ETA from their current location to home and to work. 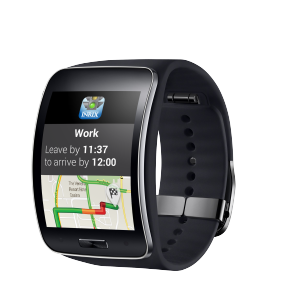 Samsung Gear S Smartwatch and INRIX XD Traffic app integration. INRIX XD Traffic app users now can receive departure alerts for saved places in the app that tells them the best time to leave and expected travel time in traffic to their destination. “Morning!” Smart Alarm Clock App. Morning! Smart Alarm Clock is a smart alarm app that gets you up and going with weather, traffic conditions to work, your appointments of the day, and unread emails – all to help you get your day started right. INRIX helps this app jump start commuters’ day each morning with insight into recommended departure times and travel times in traffic to work and alerts to accidents and other incidents causing delays on their route. Today INRIX completed a study with the Center for Economics and Business Research (Cebr) projecting the combined annual cost of traffic gridlock in Europe and the US will soar to $293 billion by 2030 if nothing significant is done to address it. This is almost a 50% increase from 2013, driven mainly by urban population growth and higher living standards as a result of increased GPD per capital. What can be done? The key is to make data-driven decisions. Drivers make better decisions about when to drive and where to drive if they have real-time information available to them. Too often governments make decisions based on politics and not data about what will have the biggest impact on reducing congestion. Better data = better decisions = reduced congestion. At INRIX, we’re trying to do our part to provide this. 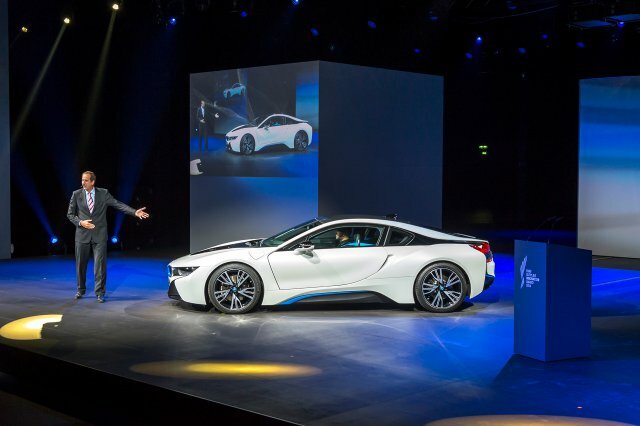 I had the privilege of attending the 2014 BMW Supplier awards and found my next (dream) car…the BMW i8. Plug-in Hybrid (like the former Fisker Karma): the best of both worlds. The energy consumption and convenience of never having to stop for gas during your daily commute, but the comfort of knowing you can travel long distances if you need to on gas without having to spend hours at a charging station. Multi-modal routing (provided by INRIX of course! ): routes you to your destination the quickest way even if that includes taking a train or a bus. Absolutely killer styling: looks like a top-of-the-line sports car (because it is), not like a traditional electric like the Leaf, Volt or Tesla. 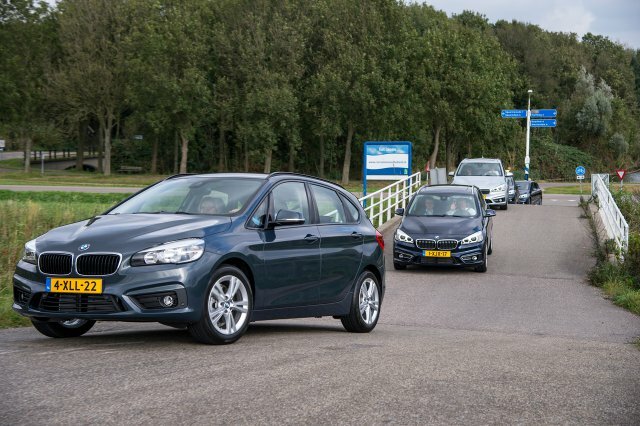 During the event, BMW let us all drive their new car…unfortunately not the i8, but rather the new 2-series Active Tourer. Nice car and it was fun driving it over the Netherlands, but it’s not the i8!